You are Indian and marrying a Frenchie?? Congratulations!! And get ready for some fun with the administration! It is not too difficult but a bit time consuming, especially for the French thing. First things first, you need to take an appointment with the consulate to check that you are a real couple and also give them some documents. 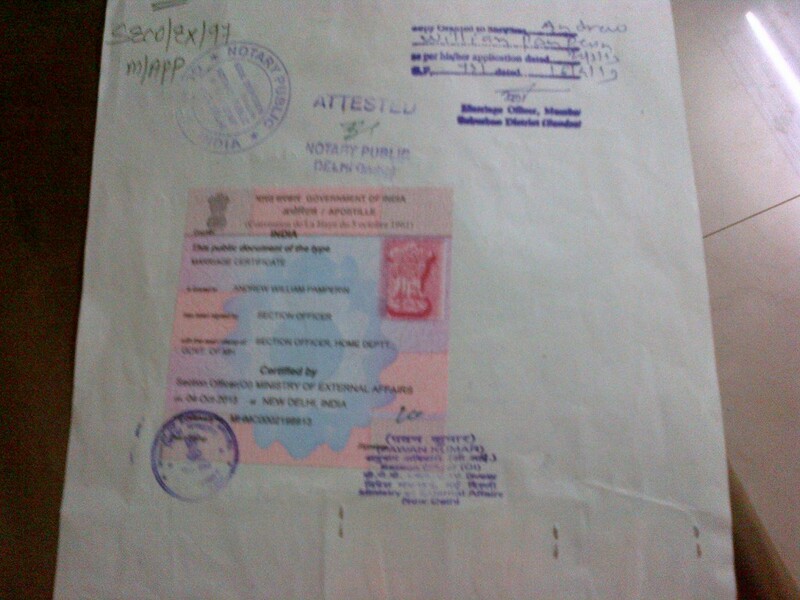 Attestation of celibacy or “Affidavit” if it is not mentioned in the birth certificate. 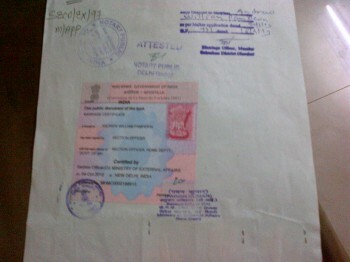 You can get this from an Indian Public Notary – we were not asked for it. Then the consulate sends the papers to France and if all goes well, after a month or so they deliver an attestation of celibacy of the French spouse and you can go to the Indian court. Attestation of celibacy of the French spouse given by the consulate – we were not asked for it. We are still struggling to get the Birth Certificate but we got married in India and all that. We are just waiting for this last certificate to submit all the above mentioned papers to the consulate and finish it off! And as a bonus, this is what the apostille looks like!